After the excitement of Thursday’s women’s Ski Superpipe event with an epic showdown between Cassie Sharpe and Kelly Sildaru, it was time for the men to take center stage. Unfortunately, a contest filled mostly with crashes and bobbles followed, with first-time X Games gold medalist Alex Ferreira on top of the heap when the dust cleared. How underwhelming was the men’s Superpipe contest? Well, to start things off, only three of the 10 competitors were able to land a full first run. It took until the seventh drop for France’s Kevin Rolland, the most experienced and decorated skier in the field, to log an 87.88 with a huge switch left down-the-pipe 1080 tail, left and right double cork 12s, and a mid-run double cork 10 to switch right 720 and set the night’s first high score. But he was quickly topped by Ferreira, who put down four doubles for a 90.33. Run 2 saw some improvement, with riders playing it more cautiously in hopes of putting down a safety run. 17-year-old Nico Porteous landed a big run with of a left cork 10 double seatbelt japan, switch right 900 tail, switch left double 10 safety, and back-to-back dub 12 safeties, and was rewarded with an 89 and an entrance to the podium party. Rolland landed his run again clean and even upped his final dub 12 to 14, but somehow scored one point lower to remain in third place. And favorite David Wise once again couldn’t put down his run, leaving everything hanging on his third try — a position the historically rock-solid Wise seems to find himself in more and more often these days. It came down to Run 3 for all the marbles. Taylor Seaton: a crash. Birk Irving, crash complete with a heelpiece explosion. Porteous tried to step up a 12 to a 14 like Rolland, but washed the landing. Aaron Blunk: a crash. Simon D’Artois: no luck. 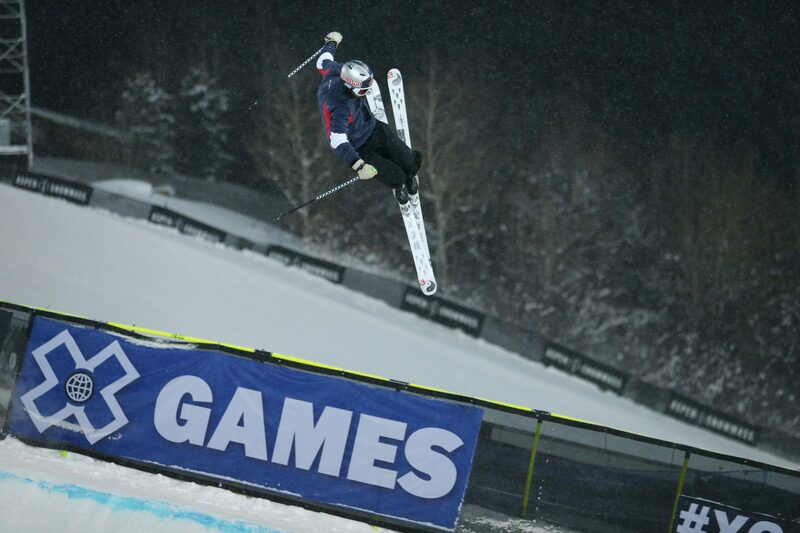 Gus Kenworthy: crashed for the third third straight time on his final rightside dub 14. Rolland: a crash. Switch specialist Noah Bowman couldn’t log a full run for the third time, having struggled with his first-hit switch-to-switch air throughout the night — but still moved into 5th place with a 66.33, a testament to the night’s low scores. On the second-to-last run of the night, Ferreira delivered his run bigger and better than before: right dub 12 mute, left dub 10 safety, switch right 7 japan, left dub 12 mute and down-the-pipe double flatspin 9 japan, boosting his score to a 92.66 to improve his lead. The last to drop was David Wise, able to perform under pressure, who finally scraped together a full run with a switch right 7 japan, left dub 12 mute, right 10 tail, switch left dub 10 japan and a right dub 12 mute — not entirely clean, but earning the judges’ approval for a 90.33 and second place. The final podium: Ferreira, Wise and Nico Porteous, with Kevin Rolland unhappy in fourth. 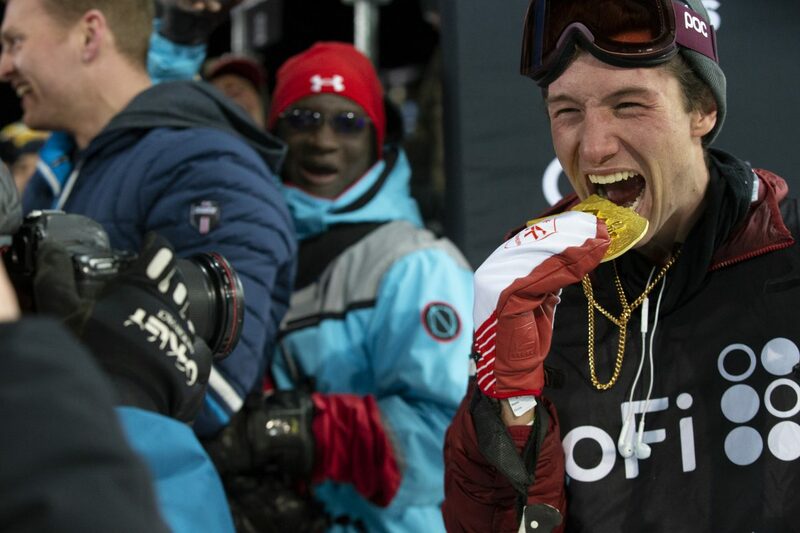 Still, it was a huge night for Ferreira, the local kid fired up to party his first X Games gold in his hometown. “An unbelievable amount of hard work has been put into this medal,” he gushed after the contest. “We’re burning down the town tonight! Fire me up, baby let’s go!” Based on these comments we can safely assume that even though the contest wasn’t the bee’s knees, the afterparty was surely a rager. Got some free time? Here's the full broadcast replay. 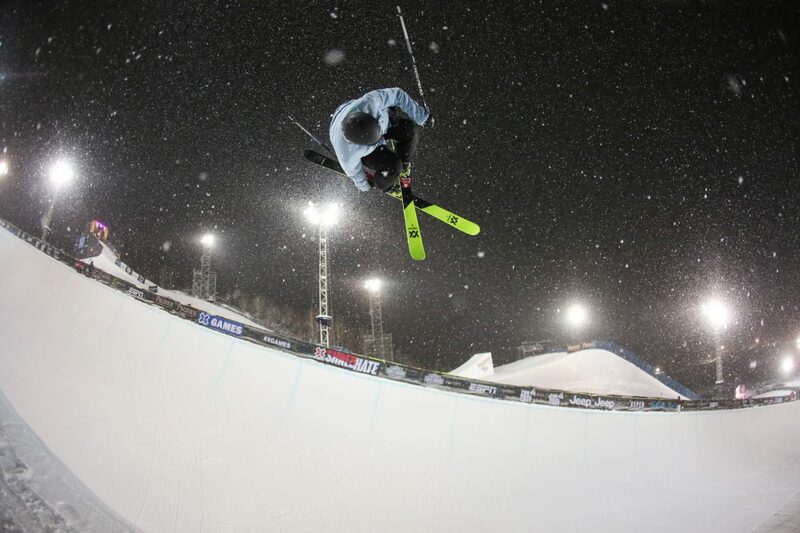 Freeski action at the 2019 Winter X Games continues today with women’s Slopestyle and Big Air finals as well as men’s Big Air eliminations. 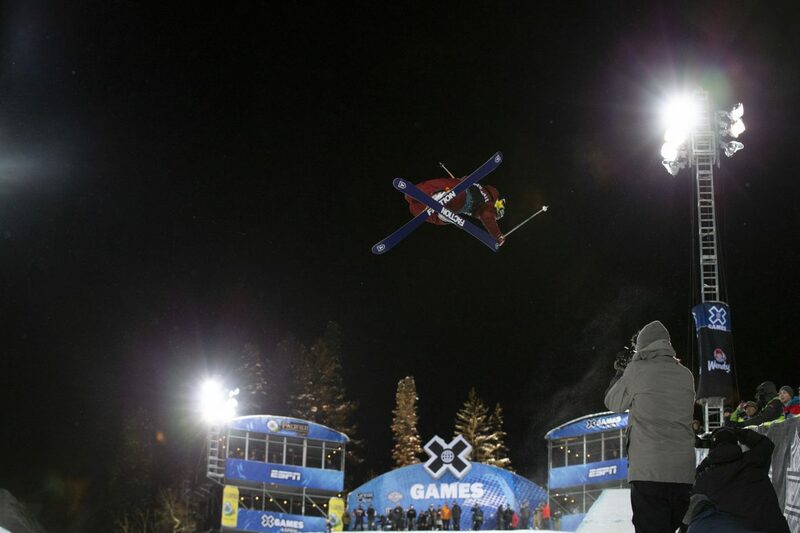 Get the full schedule and how to watch with our X Games Viewer’s Guide. Blue Tomato Plan P – Loads of Airtime and Cool Prices!